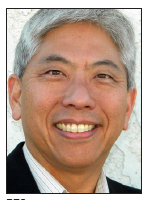 In Los Alamitos, City Councilmember Warren Kusumoto was one of three incumbents who were returned to office. Out of six candidates, those elected were Councilmember Mark Chico with 1,602 votes (20.7 percent), Councilmember Shelley Hasselbrink with 1,586 (20.5 percent), Kusumoto with 1,379 (17.8 percent). and consultant and former councilmember Dean Grose with 1,342 (17.3 percent). Also running were apparel broker Tanya Doby (1,051, 13.6 percent) and mother/student Gisele “Gigi” Finch (792, 10.2 percent). In his candidate statement, Kusumoto, an engineer, said, “I have had the honor and privilege to represent and serve you for the past eight years as your councilmember, mayor and mayor pro tem, and your voice. I have accomplished much: the city has an effective leadership team of our city manager, city attorney and city clerk. “I continue to balance the budget year after year. I focused on the issues and challenges that are important to you — and I addressed and solved each one of them. “I am seeking your vote to represent you and keep Los Alamitos a place where we are safe and prosperous. Where we continue to keep Los Alamitos a place where we have an equitable balance between the desires and needs of the citizens, community stakeholders and business owners. I will continue to ensure that your tax dollars are spent wisely, prudently and with transparent accountability. In May, as mayor pro tem, Kusumoto was part of a delegation of local officials from Orange, Riverside and San Diego counties who met with President Trump to discuss their opposition to California’s “sanctuary state” law. In La Palma’s City Council race, optometrist Garrett Wada finished third out of three candidates for two seats. Incumbent and Realtor Michele Steggell and entrepreneur/executive Nitesh Patel were elected with 2,529 votes (38.8 percent and 2,302 (35.3 percent), respectively, followed by Wada with 1,684 (25.8 percent). A resident of La Palma for 21 years and president of the Suburban Optimist Club Foundation, Wada promised common-sense leadership and fiscal responsibility. He opposed marijuana manufacturing in the city and supported the ongoing modernization and beautification of the city, a dog park, and changing school district lines to allow residents to go to La Palma schools without asking for a transfer. In the Anaheim mayor’s race, the top vote-getter out of eight candidates was former councilmember Harry Sidhu with 20,634 votes (34.6 percent), with consumer protection attorney Ashleigh Aitken second with 18,626 (31 percent), former councilmember Lorri Galloway third with 8,846 (14.7 percent) and Orange County Cemetery District Trustee Cynthia Ward fourth with 5,444 (9.1 percent). Educator H. Fuji Shioura was fifth with 2,015 (3.3 percent), followed by emergency medical technician Robert Williams with 1,919 (3.2 percent), small business owner Rudy Gaona with 1,651 (2.7 percent) and Tony Martin with 816 (1.4 percent). Sheriff-Coroner — Undersheriff Don Barnes finished ahead of Duke Nguyen, an investigator for the Los Angeles County District Attorney’s Office, 398,469 votes (55.8 percent) to 316,176 (44.2 percent). Barnes will succeed retiring Sheriff Sandra Hutchens, who endorsed him. Buena Park City Council, District 1 — Incumbent and business owner Virginia Vaughn finished first with 1,176 votes (34.6 percent), followed by business owner Sunny Youngsun Park with 1,148 (33.8 percent) and retired doctor W. “Val” Sadowinski with 1,077 (31.7 percent). Buena Park City Council, District 2 — Incumbent Elizabeth “Beth” Swift was first with 715 vote (38.1 percent), followed by nonprofit director Ian Macdonald with 641 (34.2 percent) and Planning Commissioner Jae Chung with 519 (27.7 percent). An election was also held in District 5. The city, which previously had at-large seats on the council, created district maps and put Districts 3 and 4 on the ballot in 2016. Costa Mesa City Council, District 4 — Manuel Chavez, a California Democratic Party delegate for Assembly District 74, was first with 1,118 votes (57.7 percent), followed by real estate professional Michelle Figueredo-Wilson with 554 (28.6 percent) and Westside neighborhood activist Steve Chan with 267 (13.8 percent). Fountain Valley City Council — In an eight-way race for three seats, incumbent Michael Vo, owner of Little Saigon Traffic School, was the top vote-getter with 7,106 (16.4 percent). Also elected were Planning Commissioner Patrick Harper with 6,845 (15.8 percent) and community activist Kim Constantine with 6,454 (14.9 percent). Also in the running were civic volunteer Glenn Grandis (5,494, 12. 7 percent), Housing and Community Development Advisory Board member Tom Nguyen (4,972, 11.5 percent), Coastline Community College Foundation President Dave Osborn (4,682, 10.8 percent), former planning commissioner Patrick Tucker (4,547, 10.5 percent) and small business owner Tam (Nick) Lecong (3,250, 7.5 percent). Garden Grove City Council, District 3 — Incumbent Thu-Ha Nguyen defeated business owner Duy Nguyen, 3,201 (70.8 percent) to 1,321 (29.2 percent). Garden Grove City Council, District 4 — Incumbent Phat Bui won with 2,091 (40.9 percent), followed by teacher and healthcare advocate Mark Anthony Paredes with 1,669 (32.7 percent) and former planning commissioner Joe Do Vinh with 1,349 (26.4 percent). Irvine Mayor — Incumbent Donald Wagner was re-elected with 26,475 votes (46.4 percent). Also running were No on Measure B proponent Ed Pope (18,456, 32.3 percent), former Assembly and mayoral candidate Katherine Daigle (8,754, 15.3 percent) and software engineer Ing Tiong (3,413, 6 percent). Irvine City Council — In a 12-way race for two seats, the winners were business owner Farrah N. Khan with 16,348 (15 percent) and Planning Commissioner Anthony Kuo with 15,953 (14.7 percent). Also finishing in double digits were Transportation Commissioner Carrie O’Malley (14,913, 13.7 percent), Community Services Commissioner Lauren Johnson Norris (12,497, 11.5 percent) and UC Irvine astrophysicist Kev Abazajian (11,704, 10.8 percent). Also running were veteran and retired urban planner Frank McGill (9,407, 8.7 percent), public safety volunteer Jaci Woods (7,592, 7 percent), retired Army captain Mark Newgent (5,873, 5.4 percent), advertising agency CEO John Park (4,901, 4.5 percent), architect Gang Chen (4,046, 3.7 percent), biosciences company vice president Liqing Lee Sun (3,691, 3.4 percent) and entrepreneur David Chey (1,744, 1.6 percent). Westminster Mayor — Incumbent Tri Ta beat journalist Christopher Ochoa, 14,109 (71.1 percent) to 5,181 (26.9 percent). Westminster City Council — In a 13-way race for two seats, the victors were police officer Tai Do with 6,139 (17.2 percent) and Midway City Sanitary District Board President Chi Charlie Nguyen with 5,984 (16.8 percent). Also in double digits were Westminster School District Trustee Jamison Power (5,179, 14.5 percent), small business owner Amy West (4,263,11.9 percent), and Planning Commissioner Anita Rice (4,249,11.9 percent). Also running were Westminster School District Trustee Frances The-Thuy Nguyen (2,985, 8.4 percent), former councilmember Andy Quach (1,777, 5 percent), retired deputy sheriff Mark Lawrence (1,590, 4.5 percent), business owner Samantha Bao Anh Nguyen (1,562, 4.4 percent), nonprofit director Khai Dao (1,001, 2.8 percent), mortgage loan processor Jason Gray (438, 1.2 percent), clinical applications professional Randy Young (338, 0.9 percent) and businesman Visual William (183, 0.5 percent). Yorba Linda City Council — Incumbent Peggy Huang and Parks & Recreation Commissioner Carlos Rodriguez were elected with 15,454 (41 percent) and 13,338 (35.4 percent), respectively. Community leader and service club member Lourdes Cruz was out of contention with 8,910 (23.6 percent).